Fake News Alert! The disgraced Washington Post just published another doozy called “President Trump is losing his war with the media” In the second sentence, they debunk their own headline by, we kid you not, admitting that the media has a lower approval rating than Donald Trump. Thus, WaPo fact checks and debunks their own story and finds it false. Case closed. 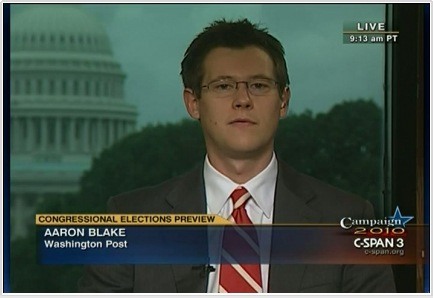 Yet for some reason Democrat Aaron Blake, typing for the Washington Post, continues. He adds that Trump needled the press by saying they have a lower approval rating than Congress, which is true. Even more evidence Trump is cleaning the media’s clock. Yet he continues. Aaron goes on to desperately cite a drummed up Quinnipiac poll that oversamples democrats by 9 points as evidence registered voters trust the media more than Trump. This poll was, of course, done as a pretext to combat the embarrassing Fox News poll that came out recently finding that registered voters trust Trump more to tell the public the truth than reporters. That any poll whatsoever would have voters believing Trump over the media is an embarrassment to the media since the opposition party is doing everything in their power to trash the President on a daily basis. However, all fake polls aside, the primary and indisputable evidence that Trump’s approach of attacking a dishonest opposition media is the 2016 election. The media put aside any pretense of objectivity during that election and blasted Trump as the devil incarnate in a full court press to destroy him for months leading up to the election. Their fake polls had Hillary with insurmountable leads and they were smirkingly confident that Trump, constantly lashing out at the media, had no chance. Yet Trump took the case to the American people that their news media was bought and paid for and in the bag for Hillary. This, along with WikiLeaks proving it to be true, ended up winning him the White House. In any case, keep trying to tell yourself (and whatever readers WaPo has left) that Trump’s attacks on the media aren’t working, Aaron. Meanwhile we’ll keep winning. Give our regards to Hillary.